For afternoon tea you must have cucumber sandwiches. Not just any old cucumber sandwiches either. It may sound simple to put together the three essential ingredients of bread, butter, and cucumbers, but there's more to making a cucumber sandwich than you think. Just as there's an art to a proper afternoon tea, there's an art to the ultimate cucumber sandwich. The cucumber sandwiches must be good enough to serve to the Queen Of England. Having afternoon tea is the height of self indulgence. 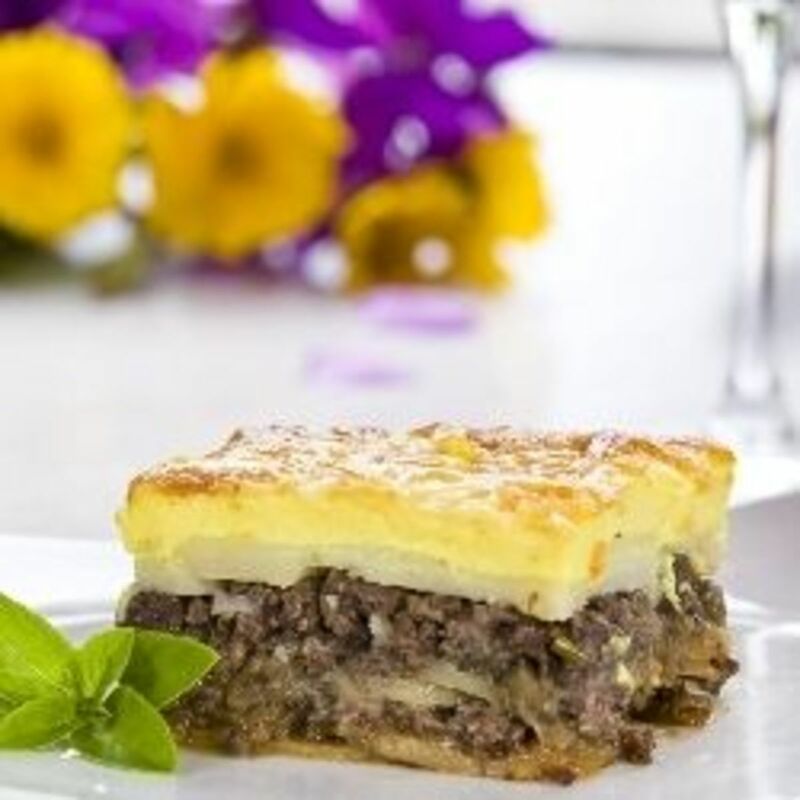 It's a gracious meal served between light lunch and late dinner somewhere between 3 o'clock and 5 o'clock. Once it was mainly confined to the aristocracy, but times and lifestyles change. The afternoon tea has seen a revival in recent years as its elegance is once more enjoyed. Cucumber Sandwiches are an integral part of afternoon tea. 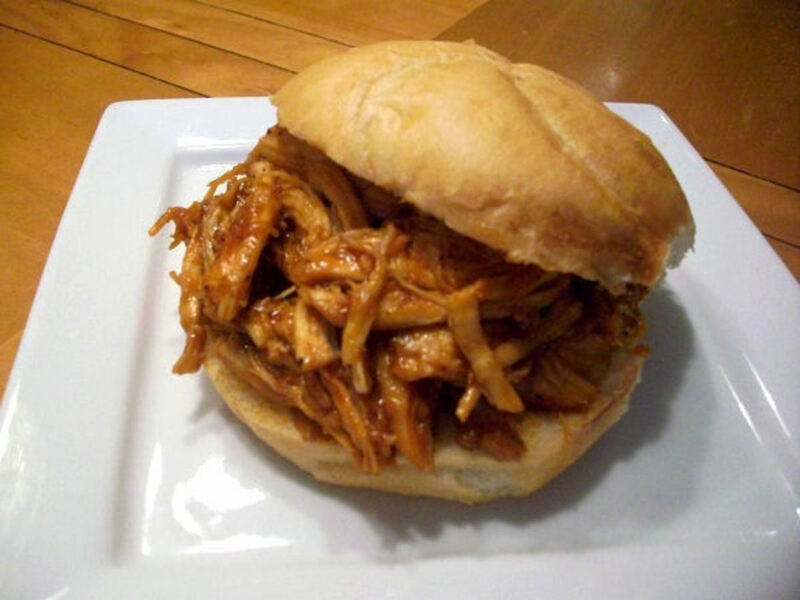 Make a favourable impression with the traditional cumber sandwich, made in the traditional method. Cucumber sandwiches must be small, they must be crustless and they must be very, very thin. The classic beauty of 18th century toile in sumptuous pink and deep charcoal hues. . For your tea, treats and cucumber sandwiches. Traditionally, the bread is white. Cover a bread slice with a fine layer of soft butter. You could use a very mild cream cheese instead of butter although there is some disagreement over the authenticity of the cheese. Spread the butter right up to the very edge of the bread slices in the thinnest coating. This protects the bread from getting damp with cucumber juice. A cucumber sandwich, when picked up, must not become damp enough to moisten your fingers. 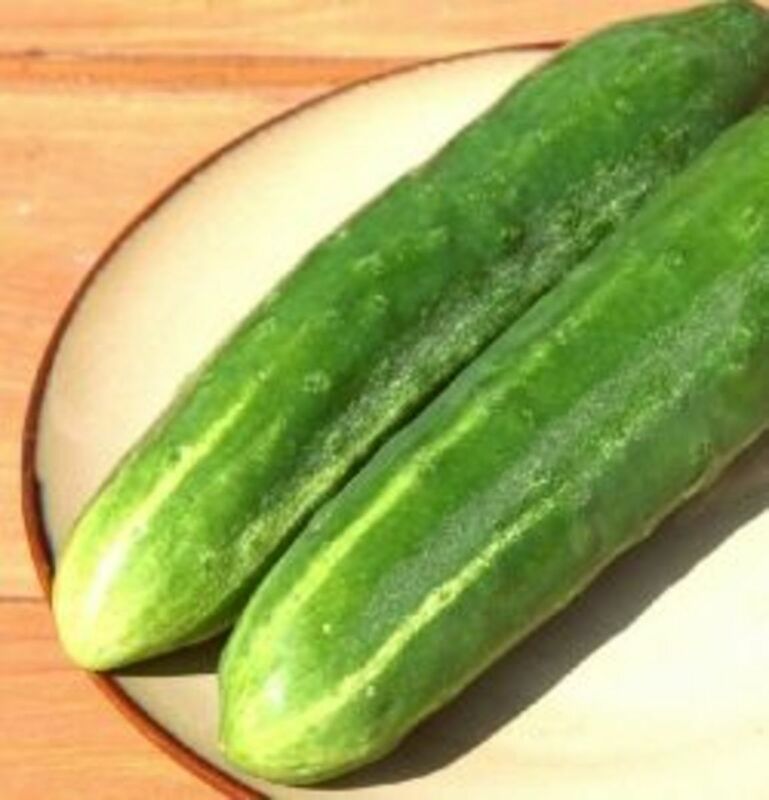 For a cucumber sandwich you need Garden Cucumbers a couple of smooth skinned, dark green ones..
Wash them thoroughly in case there's any wax in the skin. Take a good sharp knife and cut off the ends. Where you see rough and knobbly skin, then finely slice as much off as you can. We need to see a good amount of green in the sandwich. 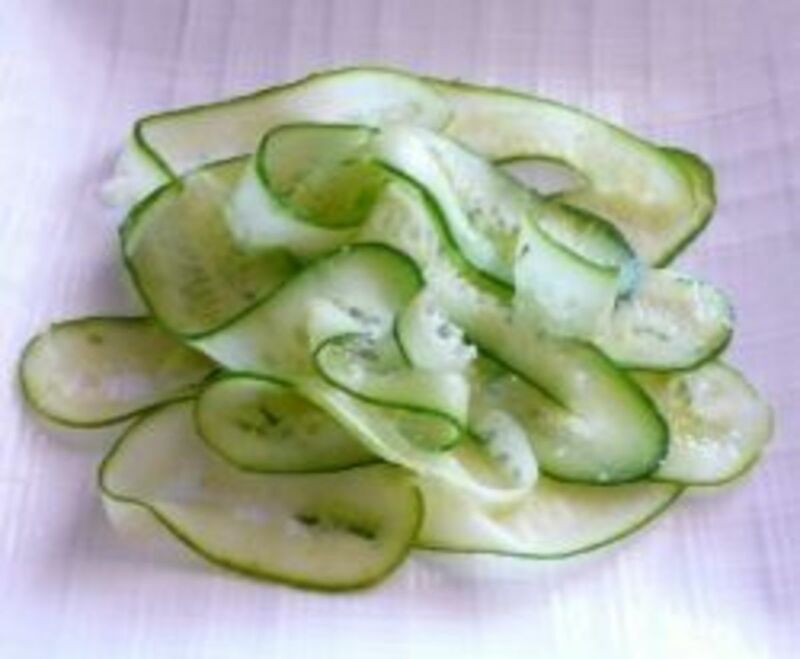 Slice the cucumber into very thin slices. Dash a little lemon juice over the slices - go easy. You can't prepare the cucumber sandwiches until you're almost ready to serve them or the bread will dry and the cucumbers wilt. Leave the slicing of the cucumbers and the assembly of the sandwiches for the last minute. 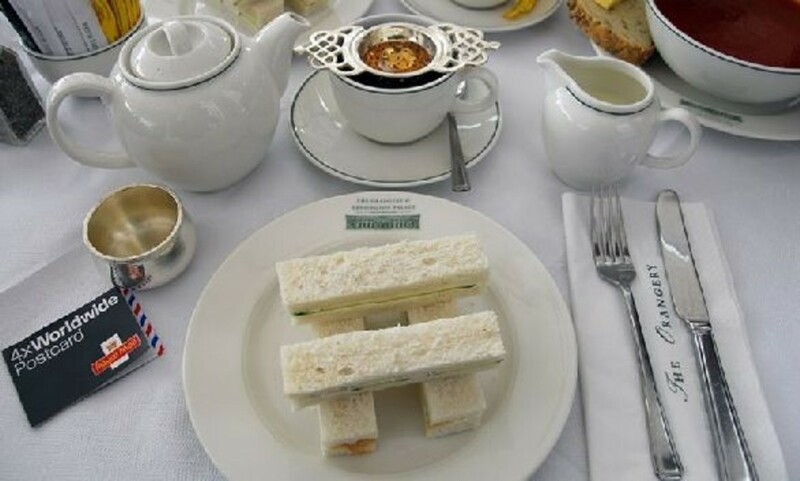 Cucumber and cream cheese sandwiches with tea as served at The Orangery at Kensington Palace in London. The gates open at 3:00 p.m. so that guests can enjoy a walk in the Royal Gardens, usually closed to the public. The Queen and the Duke of Edinburgh, accompanied by members of the Royal Family, enter the garden at 4:00 p.m. as one of two bands plays the National Anthem. Taking a different route, each Royal circulates amongst the guests. High ranking, dignitaries, and special guests proceed to the Royal tent to join the Royal Family for afternoon tea. The remaining guests are served tea from a 408-foot long buffet table. At 6:00 p.m., the Queen and Royal Family depart for the Palace, where once again the National Anthem is played to indicate that the party has ended. Even if you don't get to have tea with the Queen, you can still be ready in case of any eventuality. How should you slice your Cucumber Sandwiches? Afternoon tea or 'high tea' is really back in fashion in England now, showing up on many TV programs like 'Britains Best Bakery'(one of their tasks being to make 5 afternoon snacks. Now you can shoot me, but I love the addition of Marmite in my cucumber sandwiches.. It is my first year as a gardener, and my first to pick my own cucumbers either- so I fight cucumber excess... sandwiches are always a great idea! I love a good cucumber sandwich but we always use mayonnaise instead of butter or cream cheese. I will have to try it your way. Great job on the lens, keep squidooing! Back to sprinkle some angel dust. This reminds me of my Anglophile sister who just passed away. Wonderful lens. Great Lens and enjoyed visiting, just a shame i don't like cucumbers :P.
I suspect I'll enjoy them whether they are digits or geometric! Oh, great! Now I'm hungry, and not a cucumber in the house.... Love your lens! Who knew that cucumber sandwiches could actually be interesting. Good job. I must make these...I've never had one and love cukes. Hope I can make thin slices. I have to learn to slice cucumber paper thin to make these scrumptious tea sandwiches. Thanks for the recipes. 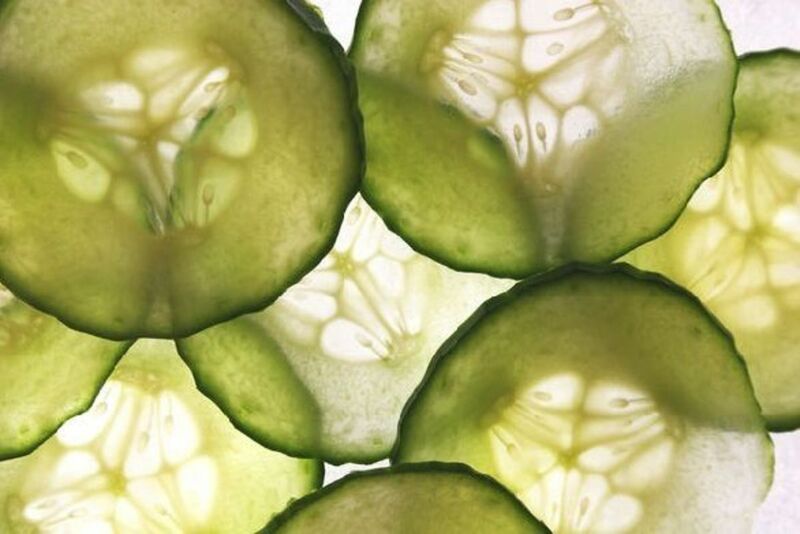 My mouth is now watering for cucumber sandwiches! I'll be shopping for cucumbers and appropriate bread tomorrow. I very much like tea sandwiches. 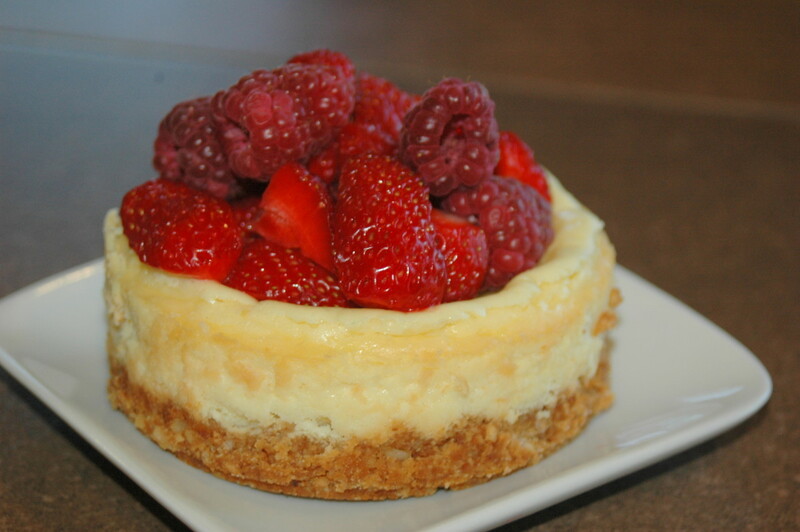 They alway taste better when someone else makes, them, I don't know why. Lovely lens! It's been so long since I had a cucumber sandwich and now I really want one with a nice cup of tea. I'm going to get some cucumber tomorrow when I go shopping. My mouth is watering at the very thought! 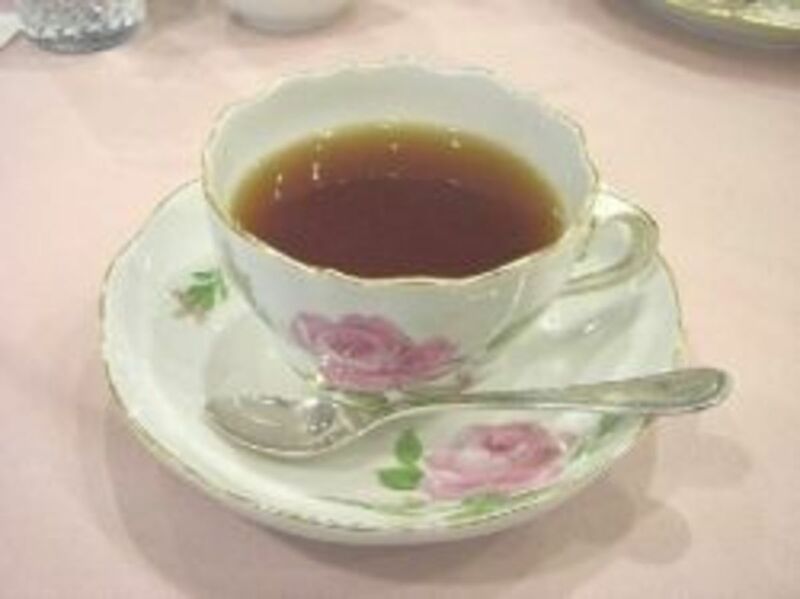 Our homeschool co-op had a Tea one afternoon during the time we were studying England. One of the things we served was cucumber sandwiches. I didn't think I'd like them because I'm not a fan of cucumbers, but to my surprise, I loved them!! I'm so glad I tried them!! I love a classic cucumber sandwich now and then! This lens makes my mouth water! I must have missed the invite when I was there :) Love afternoon tea, well any tea time for that matter. I'm in need of one right now. Very sweet. You show us how to put on a lovely British tea with the cucumber sandwiches as the star. Pinned to my Cooking and Food board. Great lens, love cucumber sandwiches. 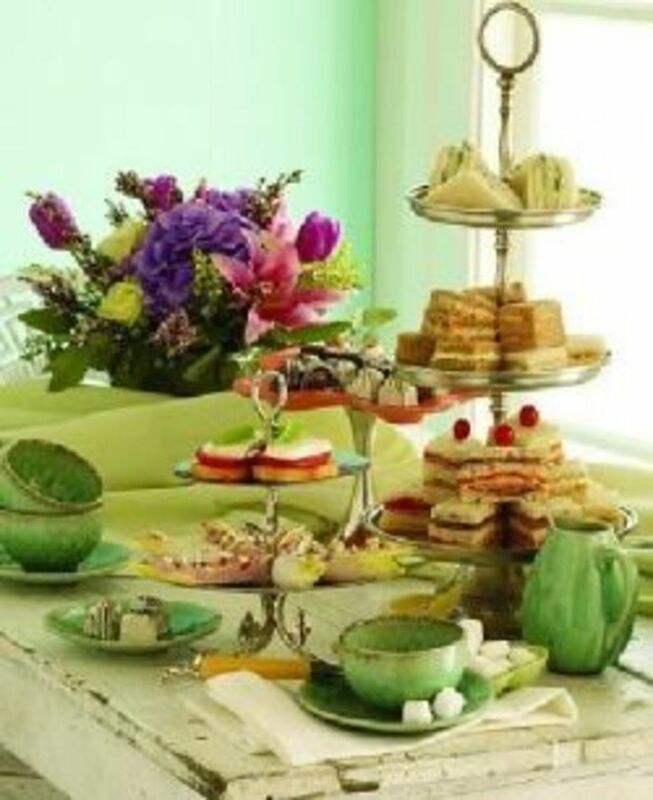 Love the pictures too, brings out the afternoon tea atmosphere. Great lens! I love cucumber sandwiches for lunch that are hearty filling, so my cucumber sandwiches fall far from any traditions anywhere. First, I use Orowheat Winter Wheat bread for it's nutty sweet taste (and for the sunflower seeds in it too!) . It''s nicely textured bread that tastes good plain even with nothing on it....plus, I rarely ever eat white bread anymore. No butter or mayo for me on this sandwich. On one half of the bread I spread some Laughing Cow Light Garlic and Herb Cheese. The other half of the bread gets a layer of mashed avocado with a sprinkle of salt. I like my cucumbers sliced about 1/4 - 3/8 inch thick because I like the crunch in the sandwich. Add a layer of alfalfa sprouts, and viola! ... a hearty filling cucumber for lunch. Yum. Guess I know what is for lunch today. I love cucumber sandwiches with cream cheese, but I also add lettuce and tomato - a far cry from what you would serve the Queen. And I never had them with tea, but it does sounds delicious. very nice, I love cucumber sandwiches. My great grandmother apparently could slice a cucumber so thin you could read the newspaper through it, I'm still working on it! Yummy ... I love afternoon tea. In the summer when we have fresh cucumbers and vidalia onions it's one of our favorite sandwiches (we also love tomato with mayo :) Great Lens, thanks for sharing such a nice tradition. Nice idea, veggies on a sandwich! Nice lens.....learned something new today ! Thanks ! Just love these cucumber sandwiches! Have already had some this spring - now it's summer I look forward to picking cucumbers from my own garden.... NOW THAT is a tasty cucumber! Beautiful lens - I remember having cucumber sandwiches when I was growing up. They look delicious. Wonderful lens, thank you. I did not know how very important the thin cucumber sandwich was to having tea, until reading your lens. I think I shall invite the gals over for this special treat! Thanks! Now I am fully prepared should the Queen stop by for tea and cucumber sandwiches. 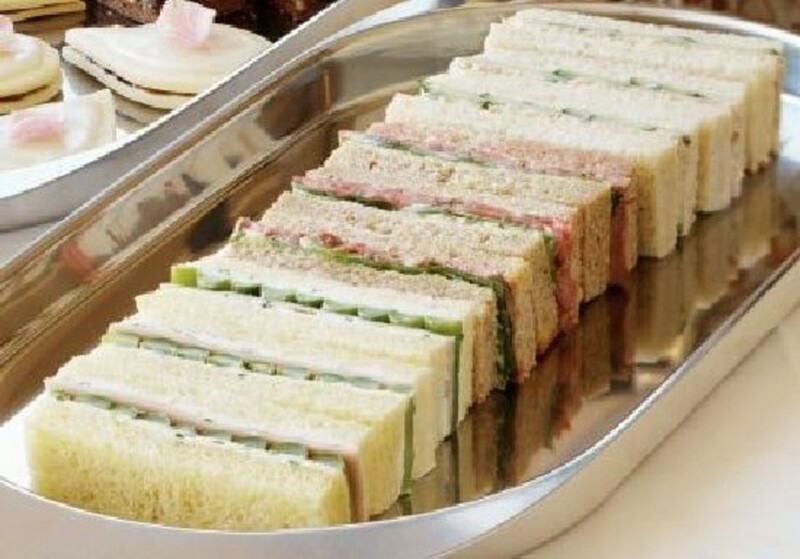 You cucumber sandwiches are an event all by themselves. I did not realize you could make so many variations of a cucumber sandwich. very good lens. I hadn't heard of these before, but they sound quite tasty. I'll give them a try some time. It has been forever since I have had a cucumber sandwich. This made me long for one so badly. Thank you, I will have to get to making myself one soon. this sounds perfect for my abundance of garden cucumbers. My daughter was looking for this recipe the other day. I'll email this lens to her. I adore Afternoon Tea, I recently went to the Orangery in Kensington and it was marvellous. One day I will have to go to the Ritz. I love the humour of this lens and the gorgeous photos, cucumber sandwiches are fantastic - long may they live!